What OBD codes are related to this problem? What should I be looking for? The OBD code you might encounter is P0A01: Range/Performance. I’ve heard that replacing this DIY style can be bad sometimes. What is it about the DIY process that could make it difficult? It’s just a water pump, right? There are a few water pumps out there that require a lot of disassembling to access. The part that needs to to be disassembled is the front end of the motor. If that is true then you may want to seriously consider allowing a trained professional to handle the job. What mileage or time frame should I start being concerned about replacing or repairing this water pump? Unfortunately, a lot has to do with your driving conditions. A bearing or an impeller may fall inside the pump from natural driving conditions over time. Ok, I’ve heard about these problems before. But, I have no idea what a water pump really is, could you tell me about it? A water pump takes the coolant and pushes it into the engine’s coolant system. The coolant staves off the effects of overheating. A water pump seems like a weird part to break. What can you tell me about how you diagnose that it is going bad? A tech or a repair person will look for leaks around the water pump. They may also use a stethoscope so that they can see if there is a noise being produced from a bearing in the water pump. Also, if at all possible, they will try to look at the belt and the pulley used in conjunction with the water pump. Wait, you said a belt and pulley… I don’t get it. How does this thing work? The water pump has an accessory belt on the front of the engine. However, it could be by the timing belt or by the timing chain. It is this belt that works and makes the pump work. Are there any telltale signs that I have a bad water pump? Most people notice the sounds from the water pump right away. You may also have damage to your drive and your timing belts. If they are damaged then it is likely that your vehicle will overheat. You should also know, however, that a failing or failed water pump is part of a system and that system is the cooling system. If you have problems with your radiator, head gasket, or thermostat then your water pump could be affected as well. 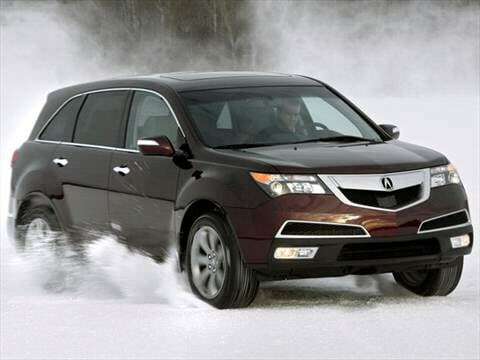 How do I contact you to work with you on my 2011 Acura MDX and it’s water pump, if necessary? You can call 503-692-0846. You can also visit us at 19460 SW 89th Ave. Tualatin, OR 97062.